Ian Poulter's recent Match Play victory underlined the impact European players are having on the world rankings. (CNN) -- Take a look at the current world golf rankings and you will see a notable shift in power away from the United States and Asia, towards Europe. Although the world's top three players are all American, six of the top 10 and nine of the leading 20 players are now from Europe. That record compares with the rankings exactly a year ago, when there were just four Europeans in the top 10. And just 12 months previously, only two Europeans graced the top 10 of world golf. Nowhere was this resurgence in dominance more evident that in February's Match Play tournament, where Englishmen Ian Poulter and Paul Casey fought out a thrilling final to a competition that Europeans excelled in. Not since the late 1980s, when the likes of Nick Faldo, Bernhard Langer, Sandy Lyle, Sevvy Ballesteros and Ian Woosnam were hoovering up majors with regularity, has Europe had such an influence at the top of the rankings. There are many theories put forward for this shift in pattern, but top coach Butch Harmon believes the conditions that young players are competing in is helping them develop quicker than their American counterparts, with that translating to results on the course. Harmon told CNN's Living Golf program: "The golf courses in Europe are much harder that in the States and that is helping the younger players develop their game much quicker. "Over in America, everything is perfect. The weather is perfect and the grass is perfect, but in Europe the golfers play in some terrible conditions and on much more difficult golf courses. "Really young golfers are being spoiled in the United States and that is hindering their development." Meanwhile, Irishman Graeme McDowell, himself a a top 50 player in the world, believes there is another reason why Europe are starting to dominate. Speaking to CNN, McDowell said: "The performances we have had in the Ryder Cup over the last 10 to 15 years has made Europeans believe that we can beat anybody. "Padraig Harrington winning three majors in quick succession is an example of that belief and there is no doubt that we have the most outstanding talent in the world right now." England, in particular, is enjoying a purple patch in the world of golf. 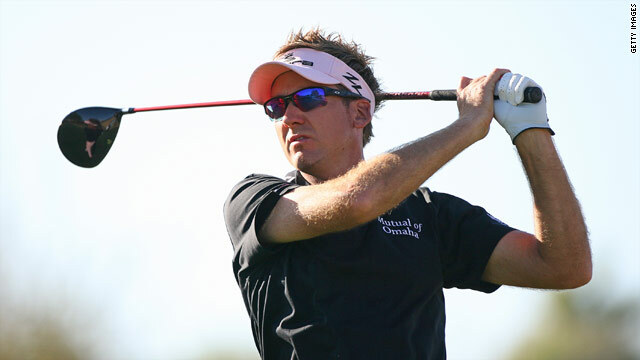 Both Poulter, Casey and Lee Westwood grace the top 10, while outstanding talents like Ross Fisher, Luke ­Donald and Oliver Wilson are all in the top 50. Talking to the Guardian newspaper Web site, after his Match Play victory in Arizona, Poulter could offer no explanation for England's new-found supremecy. "I am not really sure why it is. I just think that there's been a lot of great talent in England for such a long time. "It is so nice to see guys actually deliver on the golf course at last. We've been waiting for a long time."